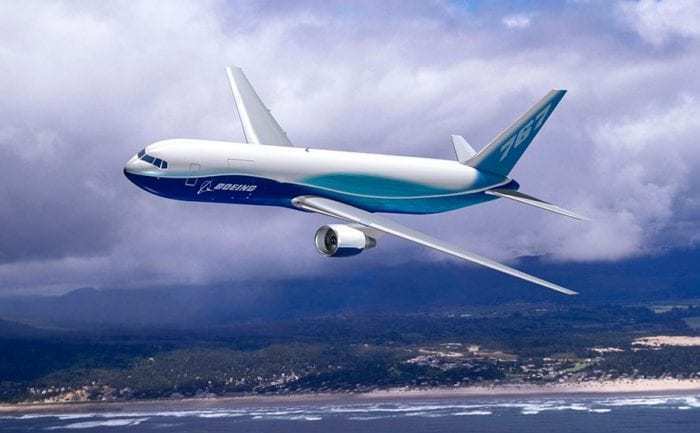 We’ve all been hearing that Boeing may introduce its new midsize aircraft, the Boeing 797, at this year’s Paris Air Show. There is definitely a demand for a new midsize aircraft like the 797. As a matter of fact, several airlines showed interest in this form of plane when Boeing introduced the concept in 2017. Unfortunately, at this point, we do not have much information about the aircraft. Nonetheless, we do know that Boeing will be likely to offer two 797 models from the get-go. They will be the NMA-6X and the NMA-7X. The NMA-6X will carry 225 passengers and have a range of 5,000 nm. The NMA-7X, on the other hand, will carry 265 passengers and have a range of 4,200 nm. The Boeing 797 will be about the same size as the Boeing 767 but will have a shorter range. Photo: Boeing. The Boeing 797 will go some way to replacing the aging Boeing 767. According to the manufacturer, ‘it will be positioned between the Boeing 737 and the Boeing 787‘. As expected, it will boast high fuel-efficiency and all the latest technology on board. With that being said, let’s see which airlines are likely to order the Boeing 797. First of all, we have Delta Airlines. 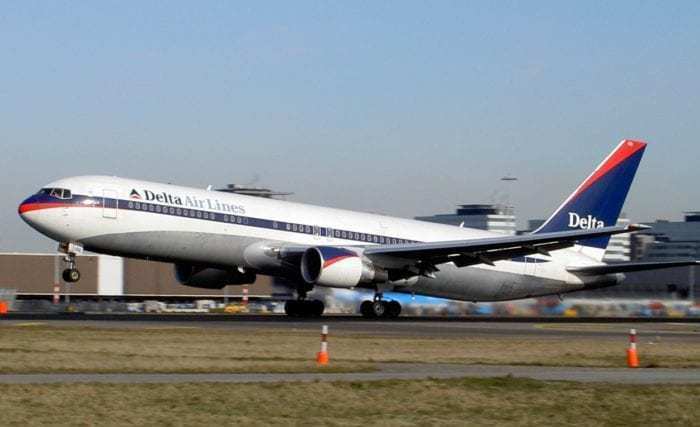 Currently, Delta has several older Boeing 757s and Boeing 767s in its fleet. Consequently, the airline will need to think about replacing these aircraft in the not too distant future. Reportedly, Delta is very interested in the Boeing 797. Delta’s Boeing 767 aircraft are on average 21 years old. Photo: Wikimedia. Qantas is in the process of conducting a fleet makeover. Accordingly, the airline might replace some of its older aircraft with brand-new Boeing 797s. The aircraft is perfect for medium-haul flights that require quite a bit of capacity, for example on the Sydney to Melbourne route, among others. Then we have Icelandair. Icelandair is reportedly trying to replace its Boeing 757 aircraft, and has already been in talks with Boeing and Airbus. Icelandair currently operates an all-Boeing fleet and has no direct replacement for the 757. Consequently, the Boeing 797 might be Icelandair’s best choice if the airline wants to stick with Boeing aircraft. Icelandair would like to retire its aging fleet of Boeing 757 aircraft. Photo: Icelandair. Even though American Airlines has not made any official comments in regards to the Boeing 797, the airline also has several aging Boeing 757s and Boeing 767s remaining in its fleet. American Airlines has placed orders for a number of 787 Dreamliners to replace some of its 767s. Nonetheless, the characteristics of the 797 make the aircraft a great option for American Airlines as well. We will see if American show interest in the new mid sized aircraft once it’s officially revealed. Last but not least we have United Airlines. United is another airline with a pretty big fleet of aging 757s and 767s. As a matter of fact, the airline currently still operates 76 Boeing 757s and 54 Boeing 767s. Accordingly, the airline will have a need for a replacement aircraft in the next few years. Once again, the 797 will be a potential candidate in addition to other aircraft like the 787 and the A321neo. As we can see, there are several airlines that are likely to order the new 797. We’re looking forward to the reveal, hopefully at this year’s Paris Air Show. Which airlines do you think will order the Boeing 797? Boeing should built a new 737 instead of the 797, the aircraft it is trying to beat is already on the market, even if it loose some sales it can come up with a better plane and catch up on the future. It should have done it sooner instead a building a 737 nightmareliner. Extending the nose gear,placing the Engines where they should not be. FAA would have not certified those modifications if it was another company in the world that had come up with something like that. The nose up tendency is not cause by the extra weight of the engine as they saying it; because the engines are located forward of the c.g. it will tend to make the airplane nose heavy . The nose up tendency can only be cause by the raising the front of the engines creating a thrust vector increasing the nose up tendency. They did that for the engines to have minimal ground clearance. They would not be in this mess had they listen to the engeners.